This is a PL-T Interior for Toyota Rock Crawling Bodies. 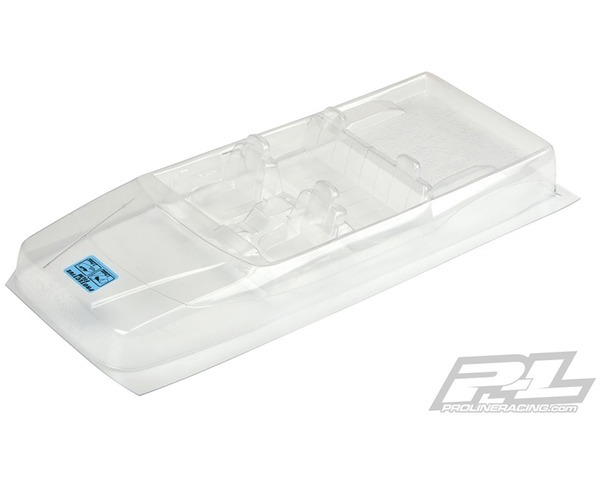 Pro-Line is proud to introduce the PL-T Interior for mid-1980s to early 90s Scale Truck Fans! The PL-T Interior features scale front seats, back seats and a rear cargo area to fit perfectly with Pro-Lines 1991 Toyota 4Runner Body. The Interior can also be trimmed behind the front seats for a great fit with Pro-Lines extremely popular 1985 Toyota HiLux SR5 Body! The dash allows you to add your own scale steering wheel and the interior includes many carefully sculpted details common to that era of Trucks. Scale dash, shifter console and door handle decals are included to complete your retro Truck build. Get your own PL-T Interior today! Interior is sold clear and will require paint and trimming to be mounted.